Efficient, forgettable formula suspense in the Desperate Hours mold from a writer who’s done much better work. The bad news for Jeff Talley, the crisis negotiator who left an LAPD SWAT team—and incidentally his wife and daughter—to become chief of the police force in safely suburban Bristo Camino, is that a trio of small-time crooks, incapable of holding up a local convenience store without shooting the owner, has gone to ground in George Smith’s house, taking Smith and his two children—Jennifer, 16, and Thomas, 10—captive. The worse news is that although two of the three wanted men, Dennis Rooney and his kid brother Kevin, are nothing but penny-ante losers, the third, Mars Krupchek, is a full-blown psycho with a lovingly detailed history of torture killings. The even worse news is that inoffensive George Smith is actually a mob accountant for L.A. crimelord Sonny Benza, a man who’ll do whatever it takes to make sure his men are the first people inside the Smith house to clear it of incriminating evidence, and who’s not going to let any police chief, certainly not anybody with an abductable wife and daughter, get in his way. 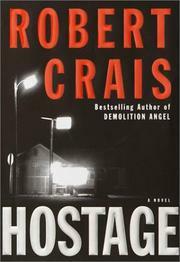 Crais keeps the pot at a constant boil by switching focus every few paragraphs from the deviously plotting mobsters to the panicking perps to the hostages who keep trying fancy maneuvers that are 100% guaranteed to make their captors really, really mad. But since nobody involved has any human reality beyond the requirements of the situation, the suspense, though considerable, is a lot more synthetic than in Demolition Angel (2000). Connoisseurs will have no trouble predicting a finale awash in corpses, every one of them richly deserving of its gory fate. Film rights have already been sold to MGM. If you wait for the movie, you’ll see Bruce Willis, and you won’t miss a thing.